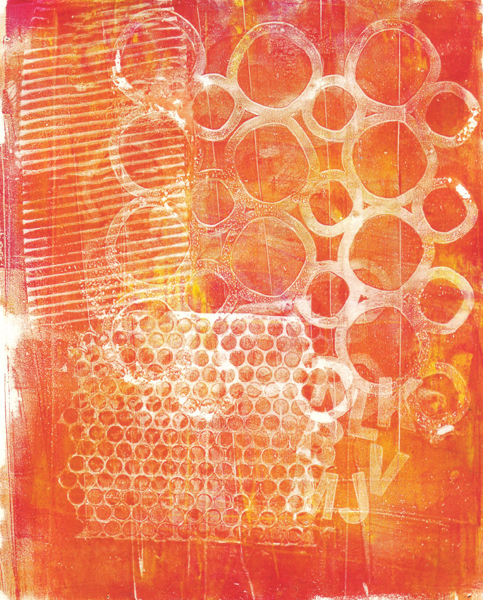 Last week I met with my artist friends and made more gelli prints. As mentioned before, I don't love acrylic paint, so I tried cheap tube watercolors for some of the prints. 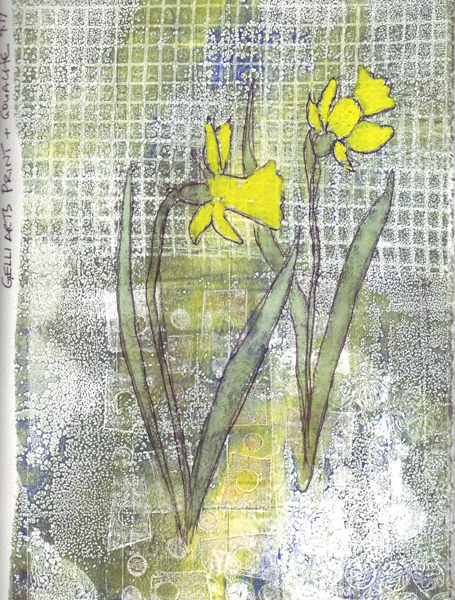 I already posted one watercolor gelli print with daffodils painted over it with WN gouache. 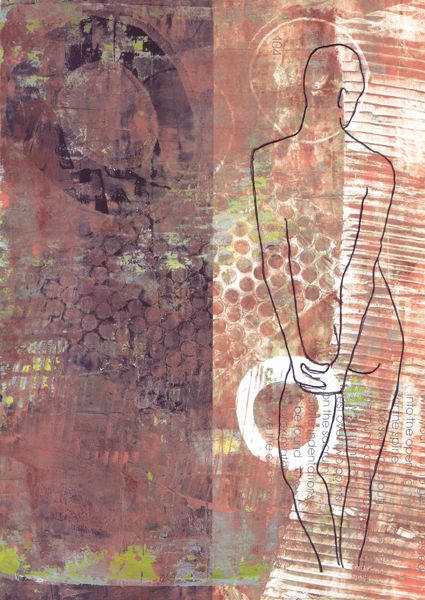 Today I wanted to experiment with different types of pens over both watercolor and acrylic gelli prints. This is a print made with watercolor. I resized my graphite drawing from "Live Figure Drawing" at the Society of Illustrators, printed it out on copy paper, and then transferred the image to my gelli print with carbon paper. Finally, I used a dip pen with a Speedball 5B nib to "draw" the figure on the print. The ink did not disturb the watercolor ar all and drawing was very easy. Teri recommended Sharpie Paint, Souffle, or Glaze pens for drawing over acrylic. Since I wanted only a black pen, I tried both the Sharpie oil-based and water-based Paint Pens over two acrylic gelli prints. 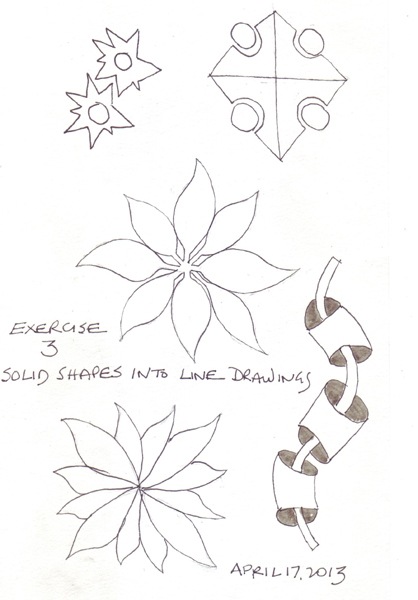 I transferred my earlier drawings using the method outlined above. 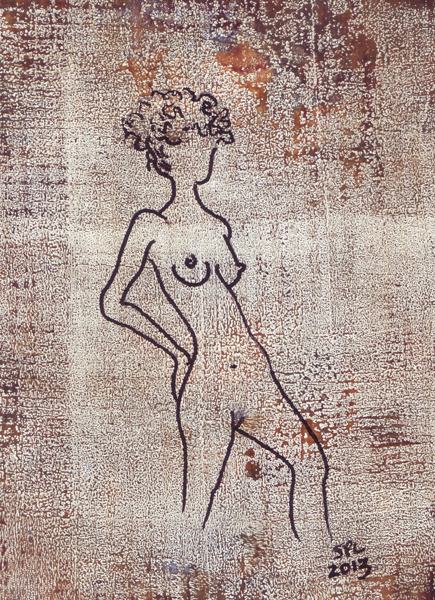 The first figure was drawn with the oil-based pen and the second with the water-based pen. Both were easy to draw and the pen seemed completely unaffected by drawing over acrylic paint. Can you tell that I ruined many previous pens (in my ignorance) by trying to draw or write over acrylic paint? I'm not sure where this series is going, but it might be fun to collage some of these types of prints in an accordion book. Benedicte, Pat and I went to the Surrealist Drawing Exhibit at the Morgan Library and Museum right before it closed. They had an amazingly thorough presentation - the artists that played with surrealism and the techniques that were used. I arrived early and sketched a woman reading while waiting for the doors to open. 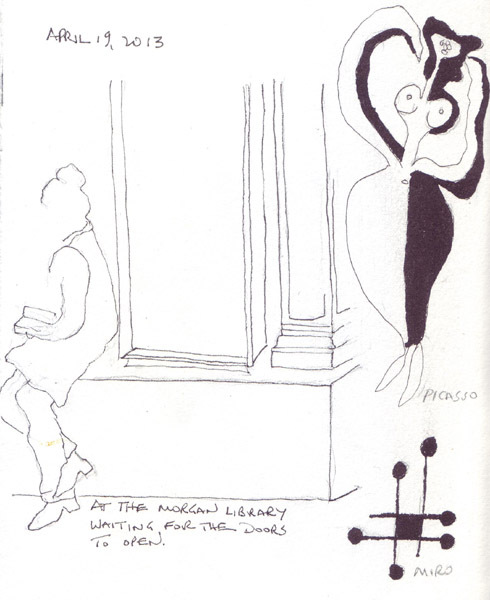 In the exhibit I quickly sketched a Picasso woman who was in one corner of his drawing and a Miro square that I wanted to remember for my "visual language project." The exhibit stretched over two big galleries - lots to see and read without doing more drawing. Degas and his painting of Miss La La at the Circus was in the upstairs gallery. 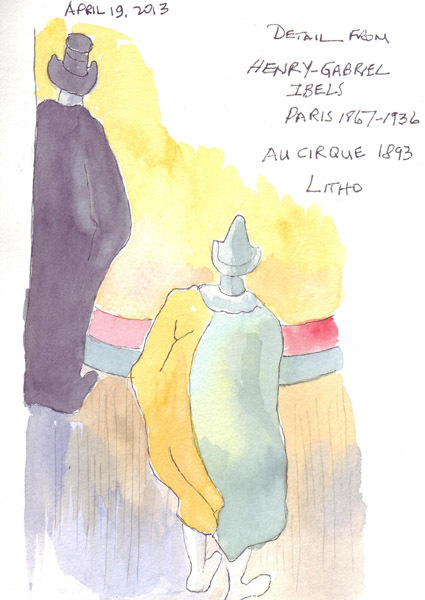 There was information about the circus in Paris, preliminary drawings and paintings, the big painting and works by other artists who also painted the circus. 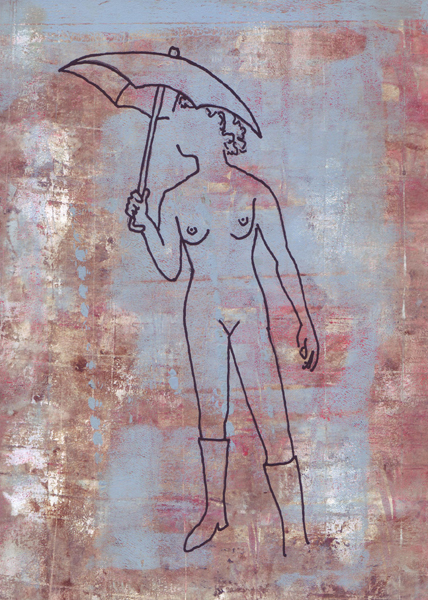 I loved the shape of a clown in a lithograph by Henry Gabriel Ibels and sketched a portion of the print. But then I had to go find Pat and Benedicte, who still hadn't come upstairs, because I wanted to leave time to see the American Watercolor Society Show at Salmagundi. Both of these exhibits closed Sunday. I love the annual watercolor show and enjoyed it again tremendously. It is hard for me to fathom how accomplished artists can make such amazing paintings! A real inspiration, but not a realistic goal! Exercise 2 (Continued): I made it! 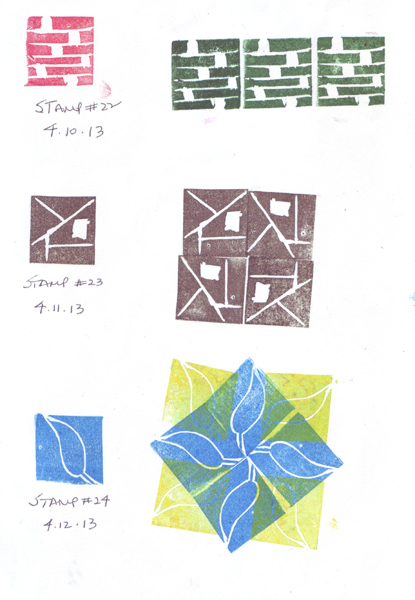 I made 30 1" stamps based on a square - stretching my imagination to finish exercise 2 when I when was in doubt. I don't work in series and I'm not a doodler - so this made me happy. 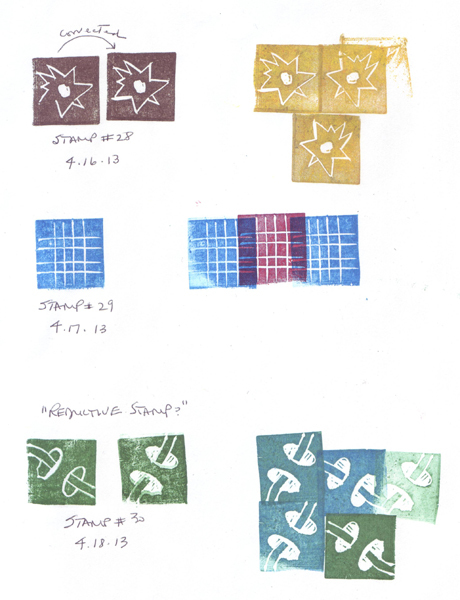 I'm afraid I might bore you posting the remaining stamps, but perhaps you can find an image you like, or be motivated to try the exercise yourself. I switched from Speedy Carv to Moo Carve right before Stamp #25. It is much softer and I had to master the pressure needed to carve smooth lines all over again. 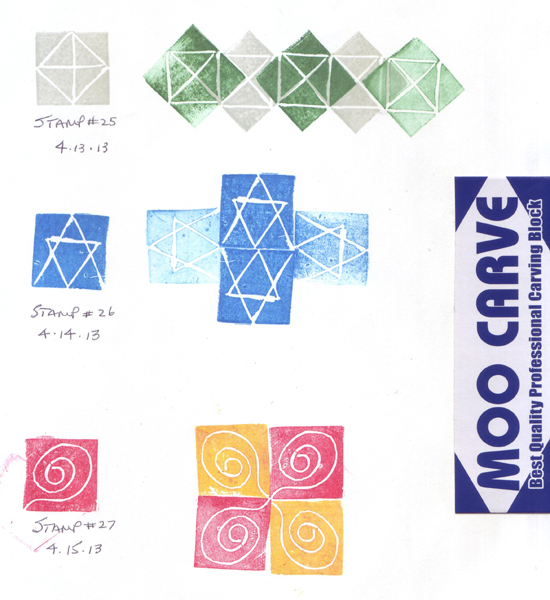 Both of them are great for carving stamps and each had a learning curve for me. Exercise 3: The instructions said to trace the black cut images from exercise 1 and in the process to convert them to line drawings. My black images were all squares, so I wasn't sure this would be very interesting. And I also didn't want to trace when I can always use drawing practice, so I selected a few stamps and made a line drawing of the image. 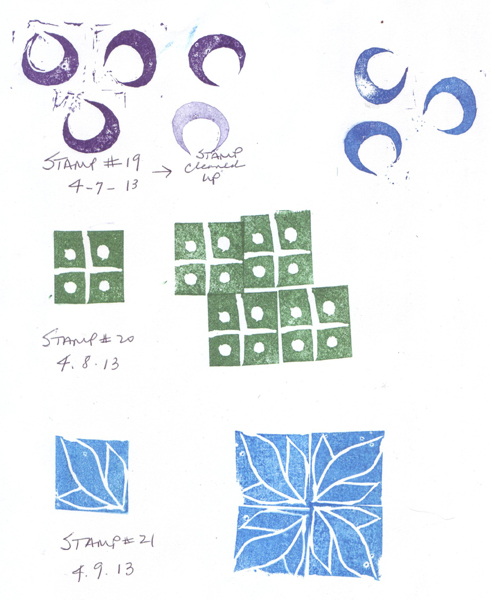 Some of them are the result of putting my 1" stamp together many times to create another image. Spring finally reached New York City and there are daffodils everywhere along the streets and avenues. The tulips are just getting ready to bloom - they will be next week's paintings. 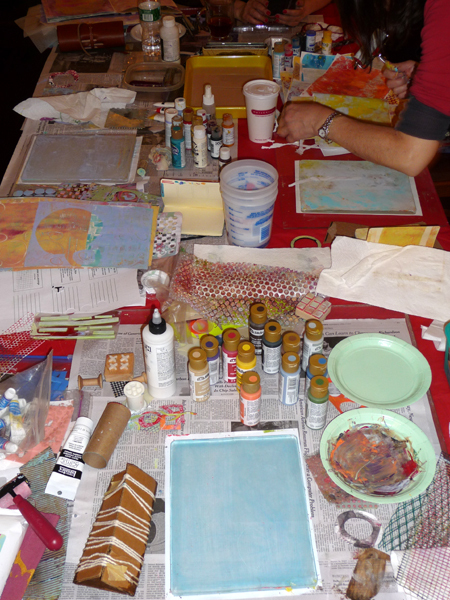 Yesterday Teri, Pat, and Benedicte joined me at my dining room table for another play day making prints with Gelli Arts plates. Here is a photo taken at the height of our printing - 4 plates, lots of paints, and numerous stamps, stencils, and other texturing tools. I don't especially like acrylic paints and need to experiment with different pens so I can draw over acrylics without immediately ruining each pen. But I love making the prints, so I'm open to any and all suggestions for pens that you use successfully. I can use a dip pen and India ink, but then I can't transport my tools easily because of fear of ink stains.Teri suggests Souffle and Glaze pens and gave me a Sharpie to try (Poster Paint). This is one of the acrylic prints I made - using color copy paper. But then I decided that I really needed to try to make a print with watercolor paint. I have an inexpensive set of Reeves tube paints that Sydney uses with me and I used them in the same way that I used the craft acrylic paints. 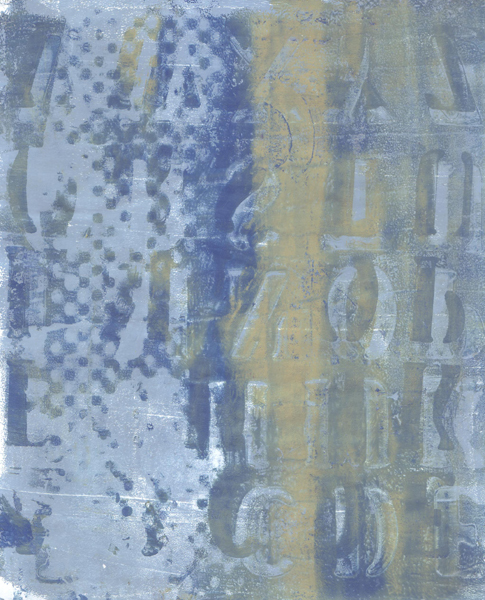 I deliberately used a stencil, a stamp, sequin waste, and corrugated cardboard to texture the paint on the Gelli plate for my test and here is what printed!! I was so excited that I made several more - printing one of them in my current watercolor sketchbook. 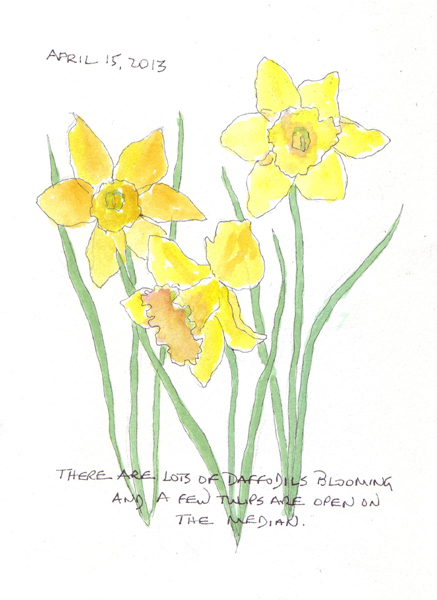 Last night I painted several more daffodils over the watercolor Gelli print using Winsor-Newton Gouache paints! I am super-execited! Now I can play with media and tools that I like better. What other cheap, tube watercolors should I try?? My husband and I take some of our grandchildren to the NY Philharmonic Young People's Concert each year. It is geared to 6-12 year olds and as soon as our grandsons turn 6, they join us for the series of 4 concerts. This is 9 year old Henry's 4th year, 7 year old Robbie's 2nd year and 6 year old Callum's 1st year. Note: By their choice, I take our two grand daughters to the Nutcracker Ballet - where tickets for one performance are much more expensive than 4 Philharmonic Concerts! Before the one hour concert, there is a one hour educational session called Kidzone. 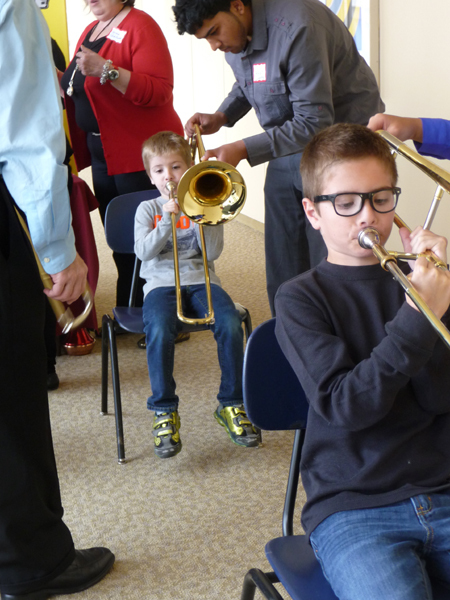 Members of the orchestra introduce 3 instruments to children and they get to try making sound with them. And there are at least 4-5 other activities which the boys LOVE! Robbie was at his first soccer game of the season on Saturday, but here are Henry and Callum learning about the trombone. That is Henry in front and his little brother Callum behind him. The boys love learning about the instruments and try to guess what they will be for each concert. Henry decided that he wanted to play the violin and drums, about the same time that he started attending the concerts, and is extremely musical and talented. 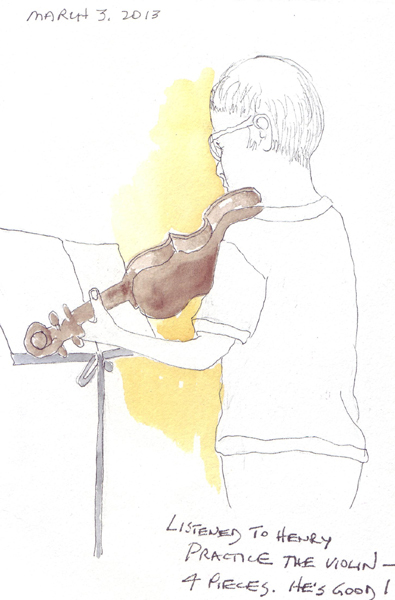 I sketched him while he was practicing the violin last month. 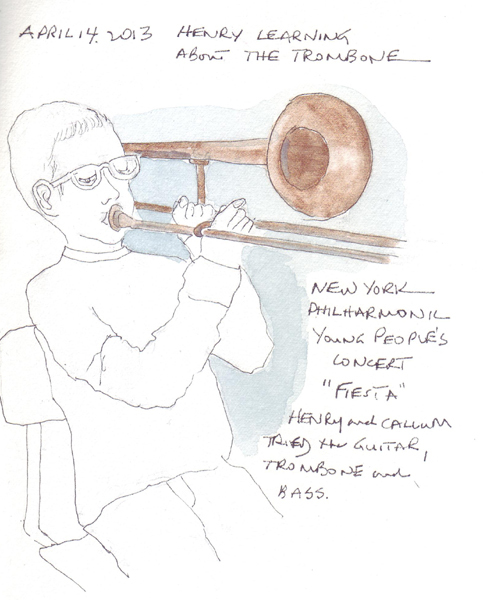 And then sketched him yesterday playing the trombone (from a photo that I took on Saturday).